The hospitality industry finds itself facing unprecedented challenges and demands. Your staff needs to communicate with each other, as well as guests, more than ever before – from anywhere on property. And, your guests expect your property to use the very latest technologies to make their stay comfortable, convenient and entertaining…no matter what size your property is. To succeed in this environment, you need a strategic communications partner that will help you achieve your business goals today, tomorrow and for years to come. One that will help you avoid uncertainty and risk, plus empower you with strategies that will help your business thrive. That partner is AML Communications. AML Communications, along with NEC offers a comprehensive set of solutions that we’ve tailored to meet the unique needs of the hospitality industry. 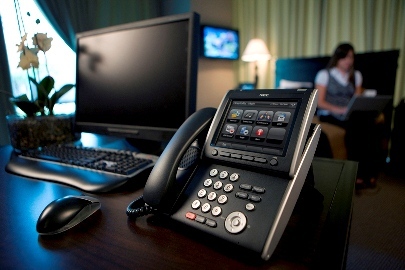 Whether on premise or in the cloud, from basic telephony to the latest advanced, productivity-enhancing UC solutions, we offer properties of all sizes innovative hospitality solutions to fit their every need and to become more efficient, responsive and productive – resulting in overall guest satisfaction. Our proven track record in the hospitality industry demonstrates our commitment and our belief that five-star service requires five-star solutions.